Video games T-shirt company Atari has entered into a war of words with media outlet The Register. In a post on Facebook, Atari claimed that journalist behind an article about the firm's VCS console "wrote what he wanted instead of what was discussed with him". "We honestly can't explain that article either," Atari said. "Our executives sat with that reporter for half an hour and he wrote what he wanted instead of what was discussed with him. Sadly there are even irresponsible trolls in "professional" positions i guess. We clearly said that we were bringing engineering design models to GDC and lots of people clearly don't understand what that means. Hunks of plastic? Well, yeah, that's how you finalize the designs and confirm that you can get the look and feel you want for the finished products. Sad." In the article in question, journo Kieren McCarthy said that neither the machine nor its accompanying controller worked - quite literally - while the firm also seemed totally unable to answer even the most basic of questions. These included who was making the machine, when it was coming out, who the company was targeting with this. So, in response, The Register released the audio from the interview in full, as well as taking choice selections that prove what the article in question was, in fact, true to the conversation that was had. All of the above surely won't fill the folks who have crowdfunded this machine with confidence. The hardware - initially called the Ataribox - was announced back in June 2017 with the company later arguing that it would succeed where the Steam Machines failed, in terms of bringing PC games to the living room. The crowdfunding push for the hardware was delayed in December and launched in May 2018. Somewhere along the lines, the machine was renamed the VSC. So far, the machine has raised $2m on IndieGoGo. We're not really sure how either, to be honest. Maybe the firm had the right idea when it left the hardware business back in 1996. Atari is also getting into the cryptocurrency space, so make of that what you will. 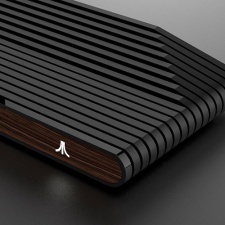 Atari’s back in the hardware game, pre-sale of the VCS Box begins this month.